After I was told that I hadn’t made the cut for my dream school, I was so disappointed. I felt stagnated going back to my job as a waitress, and to the same old life. As a straight A student with a wide variety of activities and experiences, I wondered what more I could do. After a long conversation with the admissions counselor, I got the impression that I just didn't have enough passion to stand out from the rest of the potential applicants, all of whom were as highly qualified as I was. How could I gain that passion and self-assurance that I needed? Then I got an email from the director of a Mexican home and school for children with special needs where I had volunteered in the past. She invited me to teach for the entire 2012-2013 school year. Since I had an unexpected gap year, I decided to go for it. Coming with no teacher’s training, I was unprepared for the eight English classes that I was given, ranging from third grade to high school. I did not have a curriculum to go by, so I had to think of a lot of my own ideas. As an introvert, overcoming my fear of speaking in front of a group was difficult, but little by little, I felt more confident in my abilities. The next year, when I interviewed for school, I was much better prepared. I had some new life experiences to point to that would help me stand out, and I had grown exponentially in self-confidence and passion. On interview day, I felt like I could stand out from the crowd just as well as, if not better than, the other applicants. Much to my delight, I was accepted! People who are reapplying will be expected to have grown, and I attribute my personal success to the new, unique situation of which I had taken part. Thank you Kirsten for sharing your story about trying something new. It sounds like your unplanned gap year was a good choice for you, and gave you more experience and confidence. Good luck to you in college. It is the accepted fact and truth, college is today’s standard for planned excellence and drastically increased opportunity, and internships are golden tickets to priorities in job applications. 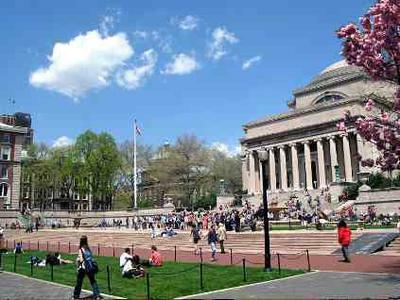 When it comes down to reality however, an Ivy-League University offers a nearly identical education than other universities, and even community colleges. What the hype is for, down to a T is the name of the game, and yes, prestige and a clear edge for future opportunities. But the application process for colleges SHOULD NOT be entered with tunnel vision, and should not end without a clear pathway, as is obvious. If you want to get into the college of your dreams, I am assuming that you'd going to treat it like a dream come true, and that you are willing to work, study that extra hour to maintain the grades, and to grab whatever resources you can to better yourself in any way to get to where you want to be. The following advice is coming from a high school graduate with a 4.1 weighted GPA, someone who did not leaps walls and bounds with school, someone who did not perform to Ivy expectations on the SAT, did not have inhumane athletic ability, and someone who I consider your average student who sees education first as a pathway and a name, last. I got into the college choice that I wanted, and it came without pulling teeth, figuring priorities, and playing the right cards. Disclaimer, if you are looking for advice as to how to get into solely UCLA, Stanford, Harvard, etc etc, or die trying, this is not the tidbit for you. I had no interest in honestly any of the ridiculously hyped universities. The importance as I will explain comes down to personal preference, your destination that you want to be, and the ability to see yourself committing to that pathway. You can waste your life away switching majors, going to a university solely for the name and not for the experience, etc, and this will make your college experience not worth the name. But let’s get back to business; this essay was not written to talk about finding a career path, rather, the application process. The number one priority first off is to find your order of operations. Which college is your dream college? Write a list down in the order of importance to you. On the right side of the paper, write the pluses and minuses of each university (money, education, location, etc). This way you know what truly is feasible and why it is so high or low on your list. Then invest the most effort to the application process the higher they are on the list. What’s important to do is visit the campus to not only get a feel for it, but to understand what is important for them. 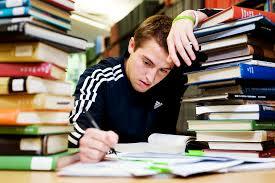 I find it useless to preach the importance of GPA, SAT, ACT, we’ve heard it already. Schools have their own importance list, like Cal Poly versus Stanford. I got an SAT counselor and only scored 150 points higher, so to a large extent, a tutor is only a useful as the user permits. Parents who try to bend hand over fist for their child’s college success will only be as successful as the flexibility and the drive of the student in the making. In my own opinion this is what is important to me when I look at a university without the name seen beforehand. Firstly, internship opportunities that the university can help with are so important. Sometimes, an internship is a mandatory requirement to graduate, like UOP. This is huge. Why? (See unemployment rate). College applications are important, but remember that it leads to future employment, and everyone wants to employ someone with experience. 1.) Make your application look like a shining beacon from the heavens of application heaven. In other words, put more effort into it than you do. 2.) Shoot for the stars, but make sure your fall back trampoline is covered by a net of trampolines. 3.) Hit all priority application deadlines, they are the dark horse of the application process. 4.) Start searching now where internships and career opportunities can line up. Ultimately, prioritize, find what is truly important to you, not the world. Know your goals, understand that rejection is simply another door opening, and don’t fret, the sun shines every morning regardless. Thank you Nicholas for sharing your college admission tips “The Truth about College and Applications” I like your suggestion to consider internships as an important consideration. Best of luck to you.